Do you have a blockage in your relationship, business or home environment? Karen grew up in Perth, on the west coast of Australia. After completing a Science degree and Diploma of Education at the University of Western Australia, Karen enjoyed a successful science teaching career for over 20 years. She always knew deep down that she was destined for something else and motherhood was the catalyst to her pursuing a new path. An early interest in feng shui compelled Karen to observe her surroundings more closely, especially after some small home furniture adjustments materialised into a yachting adventure and some other unexpected gifts. Around the same time, Emerald Space feng shui was born. During a typical consultation, Karen walks through the premises with her client, carefully observing the physical environment and noting any challenged areas. Overhead beams, stairs or ‘voided’ areas of a home or workplace can cause potential problems. When asked whether she believes in feng shui, her answer is that she is in constant awe of the positive changes that her clients experience. This is the confirmation that validates her work. 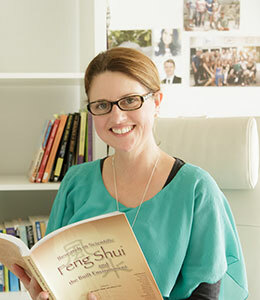 Harnessing the energetics of the bagua is another tool in her feng shui briefcase as well as an emerging practice of Qi Men Dun Jia, an ancient Chinese divination system that provides specific advice for feng shui and other life matters.